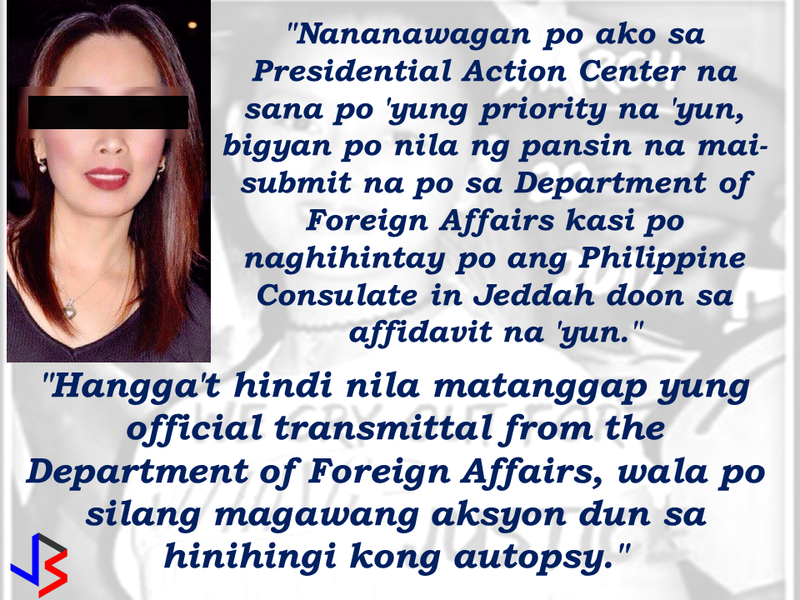 The mother of a 12-year old girl who mysteriously died while on her father's care in Jeddah, Saudi Arabia sought the help of the Philippine government, particularly on the Presidential Action Center to help her forward the case to the DFA to allow the Philippine Consulate in Jeddah to transmit the autopsy report conducted on her daughter. Bliss Mendoza, an OFW in Canada was working in Jeddah as a nurse together with her husband and daughter "Tipay" before she worked in Canada and left her daughter with her husband's care in Jeddah. 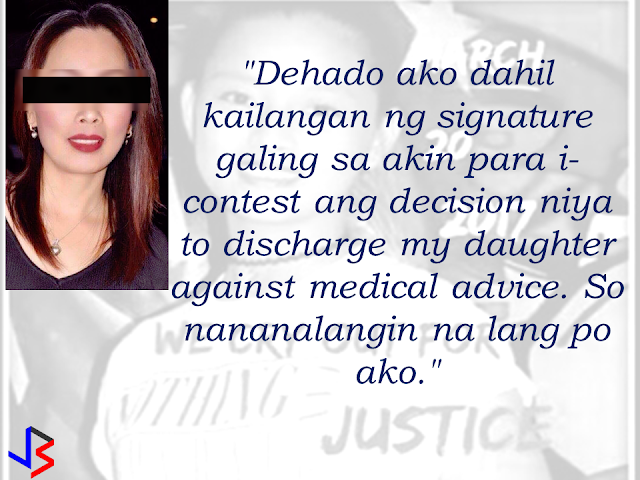 Earlier in March, her husband informed her that her daughter was confined in a hospital in Jeddah. 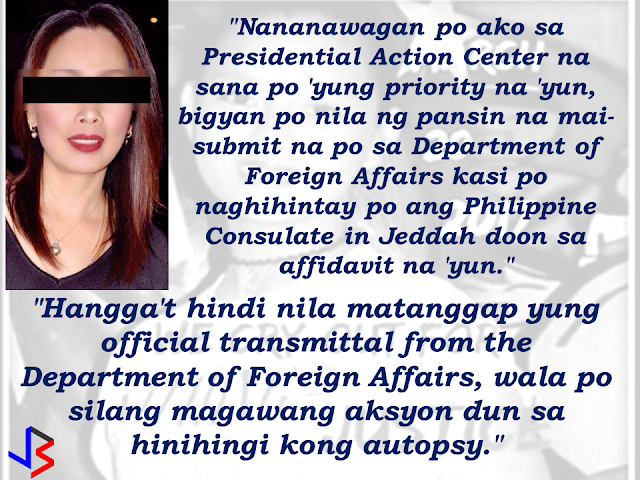 She immediately went home to the Philippines at her hometown Clarin, Misamis Oriental to process her papers for Jeddah. While in Clarin, her husband informed her that he had to pull their daughter out of the hospital. Suspicions build up when her husband did not allow her to have a conversation with her child over the phone. On March 20, 20 days after Tipay was discharged from the hospital, the poor girl died. She was supposed to attend her elementary graduation on April. Reports said that prior to her confinement in a hospital, the child confided to her school principal that she experienced physical and sexual abuse in the hands of her own father. 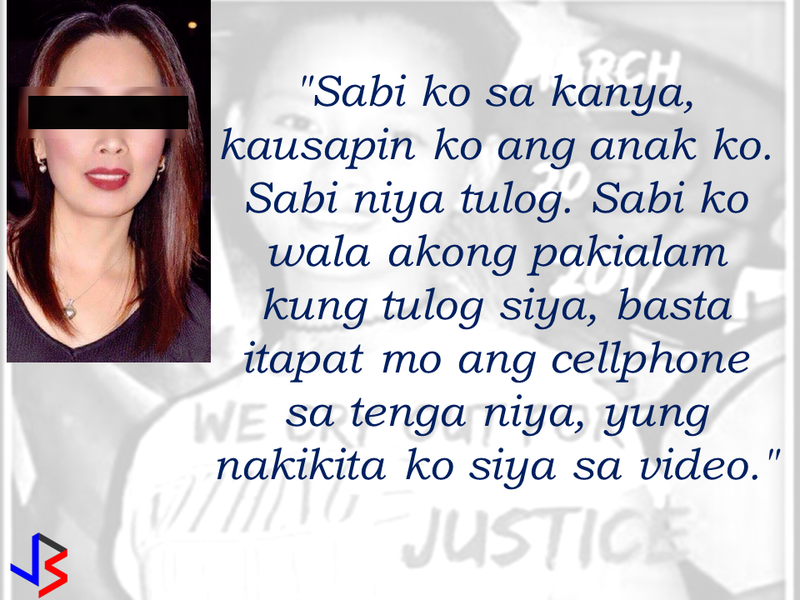 Her husband, Gerardo Mendoza was arrested but later released for lack of complaints. A facebook post of her uncle went viral asking for justice on alleged abuse committed by her own father. Bliss is now waiting for the autopsy report to make everything clear and to know the truth surrounding her daughter's death. Did her own father really did the physical and sexual abuse or not? The autopsy report could answer every questions. 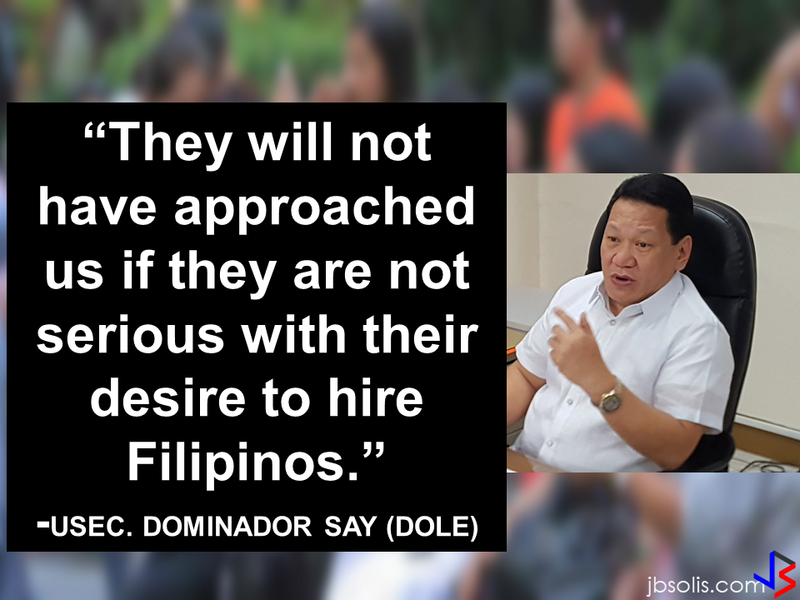 It could also help them decide and file an appropriate cases against her husband if proven that he has anything to do with her daughter's death.